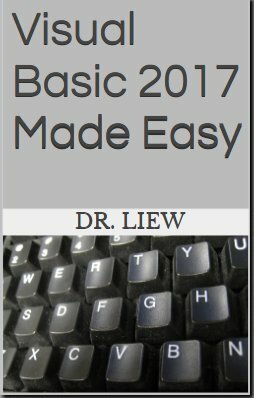 Visual Basic 2008 Made Easy is written by Dr. Liew, the webmaster of our popular online Visual Basic Tutorial, vbtutor.net. 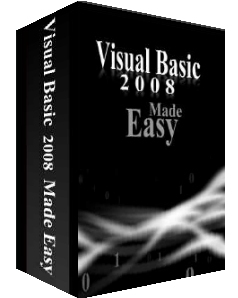 This book is a complete guide to mastering Visual Basic 2008, from beginner to intermediate programmers. 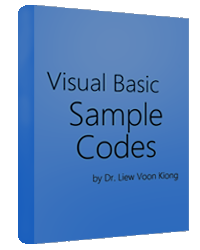 This book has been written to complement our free online Visual Basic 2017 tutorial with much more content. It is also an excellent reference text for high school or college-level computer science courses.